This peculiarly named bud is nothing but extraordinary. 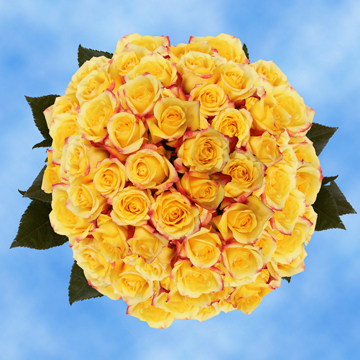 A canary colored bud with a slight touch of orange towards the ends of the petals, the Tressor 2000 is truly a sight to behold. 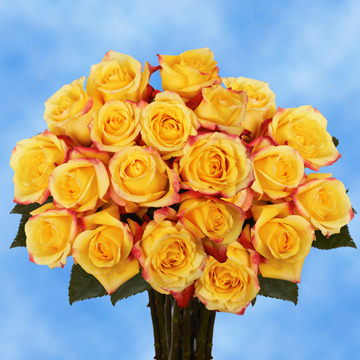 Yellow has been used to symbolize friendship and orange pride or a friendship that has turned into a romance. 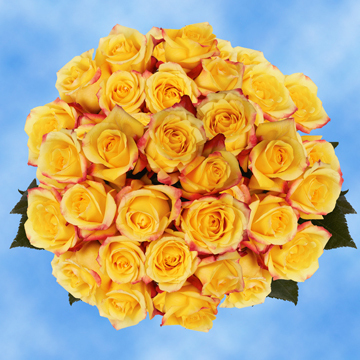 Yellow Roses with Red Tips can easily fit into any arrangement making them great for International Friendship Month parties, welcoming home that recent graduate, or tell that special someone how you truly feel. 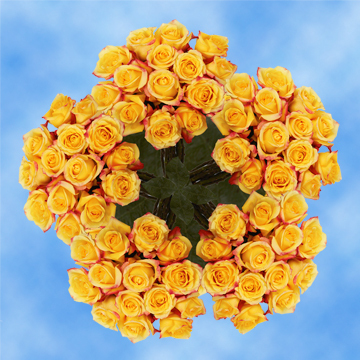 Globalrose grows all of its products with the utmost care and attention to protecting the environment. 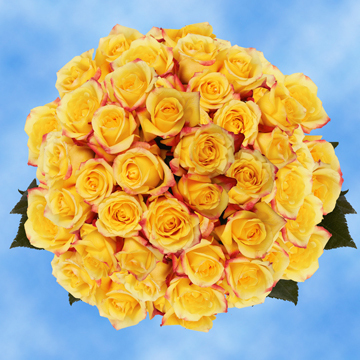 Our cutting edge facilities work all year round to provide you with the finest quality blossoms nature can muster. We freshly cut your buds right before sending them to you to insure that they are at their most beautiful. 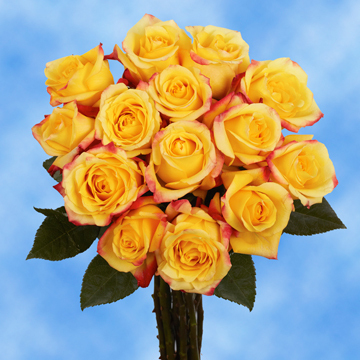 When you open your package you will notice that your Yellow Roses with Red Tips will have their buds closed. They will need up to two to three to blossom. We ship all our products to USA mainland clients for free! We have teamed up with FedEx to provide you with the very best the delivery world has to offer.